IT'S A SIGN, you know: Paper bags? 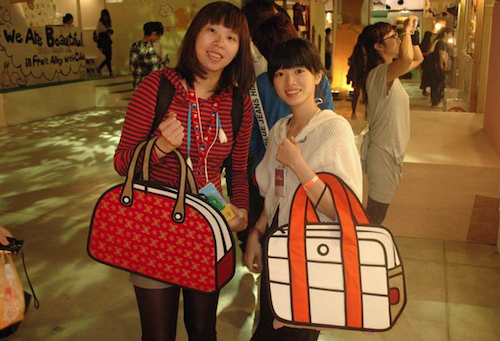 Look at these bags, there totally awesome. At first i thought it was just paper, but then i found out they're actually useable. I uploaded my pictures to the computer, so picture outfits coming soonnn! Oh my god this is so nice!!! hehe glad you like these bags too :D Aren't they SO much fun! !